This coming Ramadhan month, make a twist from the usual buka puasa delights by venturing into Flipping-Good-Time Ramadhan Buffet at Paddington House of Pancakes (PHOP), The Curve. It is all about pancakes, yet more than just pancakes. 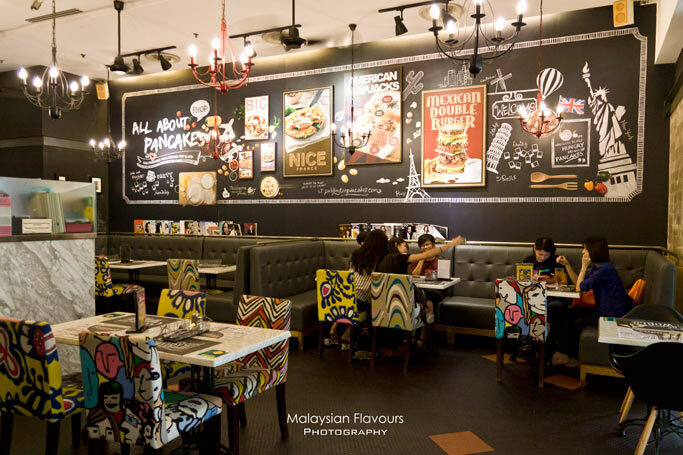 This all-you-can-eat Ramadhan Buffet brings diners to a gastronomy journey that covers from gourmet pancakes to pancake burgers, Dutch pannekoek, French crepe, pasta and waffle sandwich. They are prepared in smaller portion comparing to usual size, so that you can taste more varieties! Available from 29th June through 27th July 2014 from 6:30PM onwards, diners get to savour on unlimited pancakes freshly made upon order at RM65.00++ per person, RM38.00++ for children below 12 years old. Free flows of beverages and starters are available. However, diners can only move to the next order after completed the previous plate. Also, no sharing will be allowed. We tried out some of the items, and our favourite goes to Dutch Pannekoek-Amsterdam. 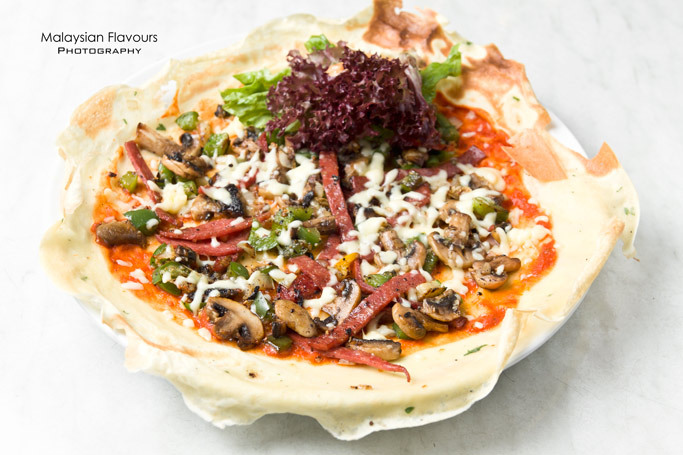 Paper thin pancake generously topped with grilled beef salami, mix peppers, mixed mushrooms and Mozzarella cheese. More flavours come from the toppings, especially the smoky salami, but the crispy edge of pancake isn’t shadowed too. 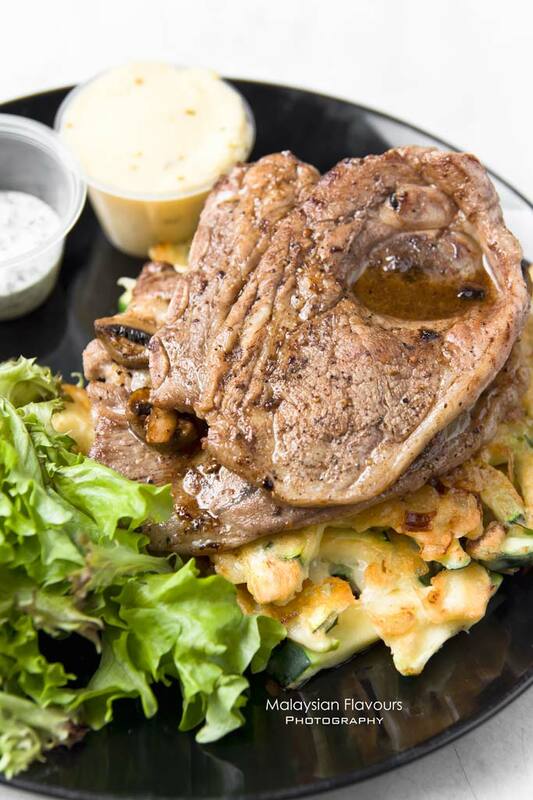 One of the more filling dishes among all, featuring two thick pancakes topped over with two grilled lamb shoulders, sided with mashed potato, mushroom sauce and mint yougurt sauce. The pancake is on starchy side, drawing juicy munch from zucchini and onion. Summergirl said the pancake’s texture reminds her the Chinese pancake mummy used to cook at home, which is recognised as “jin jin dat dat” in Cantonese. 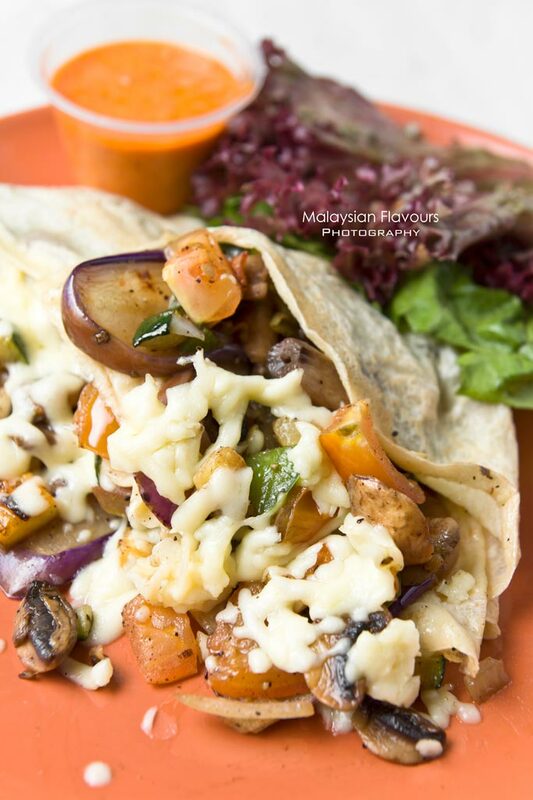 A hearty portion of grilled mixed vegetables fill the eggy, chewy pancake to the brim, calls them over-flowed; further garnished with melted mozzarella for a cheesy touch. Other option is “French Crepe-Nice”, which floods grilled chicken thigh, prawns, mixed mushrooms, pineapple and Mozzarella cheese into the crepe. Sounds delicious. 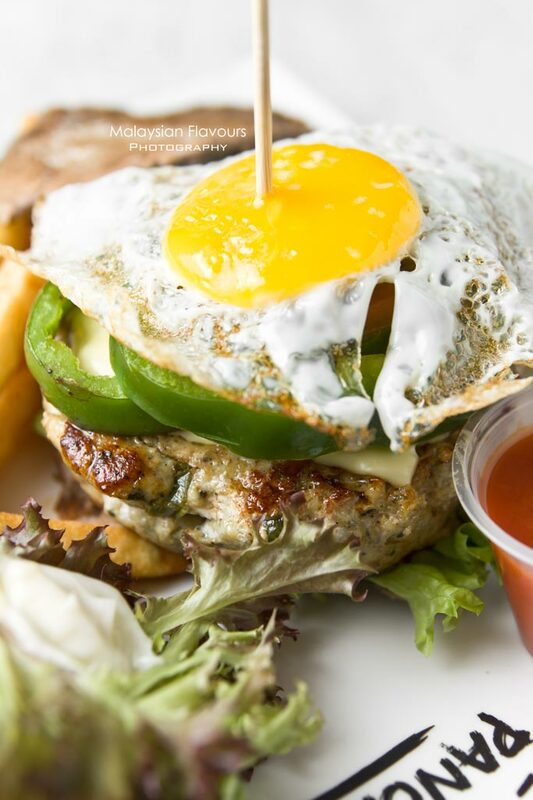 When burger is always defined as unhealthy food, Paddington House of Pancakes adds in healthy elements to their burger by replacing usual white bun with buckwheat pancake; taking effort to make grilled, homemade chicken patty instead of using frozen patty; add more vegetables like capsicum, onion and tomato; even though calories loaded cheddar cheese and fries are still in sight. But the effort counts, for presenting diners with a healthier, more nutritious burger. 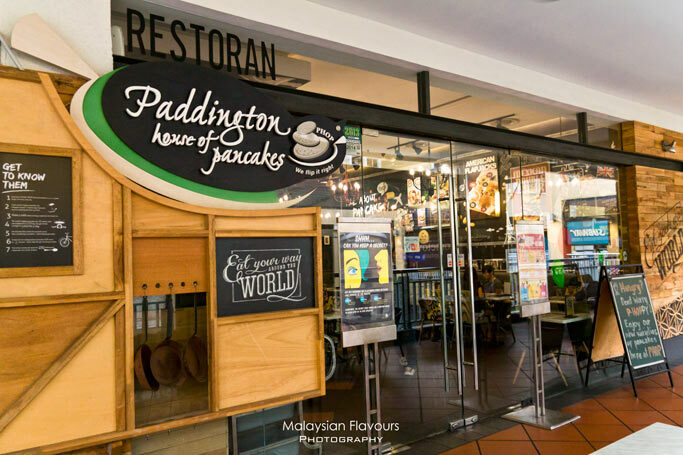 If you dine in Paddington House of Pancakes during the Ramadhan month, do not forget to bring home a packet of two of their Dutch pannekoek festive crackers that taste much better than we expect. It is so crunchy, real addictive and we can hardly stop after the first bite! Must-buy! The crackers come in four flavours- masala, seaweed & black sesame, honey chilli, and wasabi mustard. 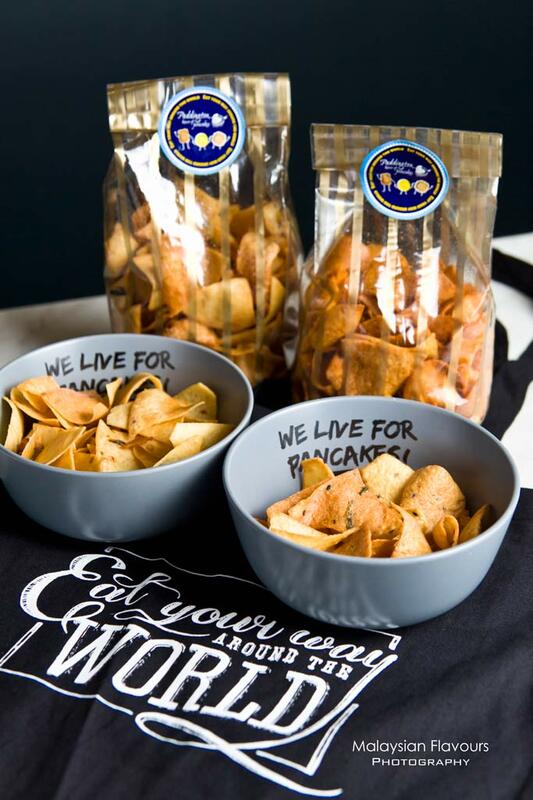 Mix and match your own favourite at RM8.50 per packet, or RM30 for 4 packets.Bring home PHOP’s Eco bag with extra RM5 as you purchase 4 packets of crackers. 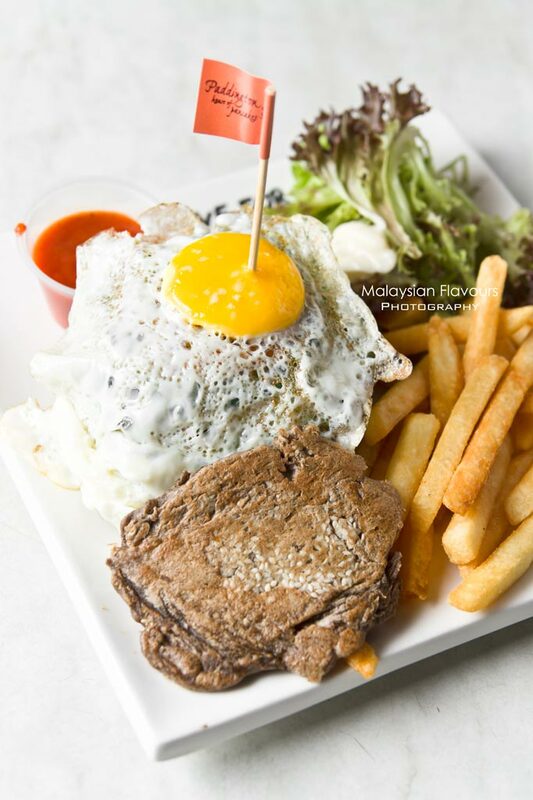 You don’t get this anywhere else, only available at PHOP The Curve. Grab yours today before they are sold out!